We are a family owned business based in Pulaski, Tennessee. Our family started in the construction business over 30 years ago in California. We built commercial as well as residential homes all through Northern and Southern California. We strive to create a safe and effective workforce that can help you with all of your service needs including construction, electrical, plumbing, and HVAC. Kirkpatrick Homes, Inc. started as an idea from Dave as a business which would be run by his three kids after he retired. He has over 50 years of experience in the construction industry which has been vital to the creation of Kirkpatrick Homes, Inc. 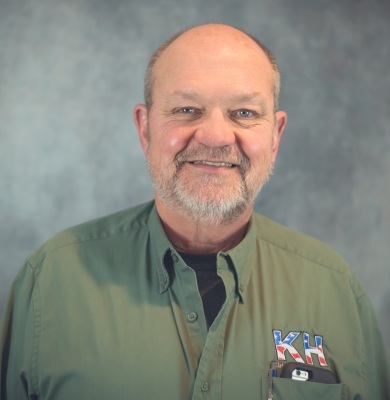 Through the years, Dave has worked every job you can in the construction industry so he knows what it takes for each employee to do their job and do it right. He always strives for his employees to be the best they can be and to always give the customer their best as well. Josh is the youngest son of David and Kelley Kirkpatrick. He moved here with his wife and children to Tennessee to start Kirkpatrick Homes, Inc. and create a company for his family. 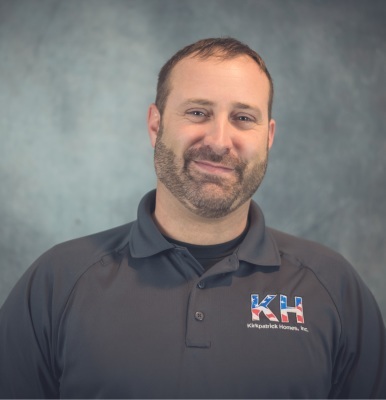 Josh has worked in the construction business nearly all of his life, with over 20 years of experience. He is excited to work in the service industry which has many parrallels to construction and is proving to be a very exciting role for him. Like his father, he always puts customers first and is always willing to go the extra mile to make things right. Kelley is the wife and business partner of David Kirkpatrick. Both Dave and Kelley grew up with Southern roots in Missouri before moving out to California to follow the construction business. Because most of Kelley's family still lived in Tennessee and Alabama, that helped the Kirkpatricks choose Pulaski for their business. She is the pround grandmother of 9 beautiful grandchildren and 3 children who now call Tennessee home. The oldest of the Kirkpatrick sons, Jeremy has been a carpenter and framer most of his life. He has worked for the family for over 25+ years and is currently the head estimator for our team. He specializes in custom home building and he is the perfect general contractor for any of your home building needs. When he is not working he loves to spend time with his wife and three children on their farm and raise their many cows. Samantha has been working with her family for over 15 years in all different office capacities from front desk to office manager. She currently runs the office in California for Trinity Framing & Construction, while living in Tennessee with her family. She currently assists with Kirkpatrick Homes, Inc. when she can, mostly working from home. She has four beautiful children with her husband whom she loves to spoil and play with. "I've been in the home business for 24 years where I've learned several trades. I learned construction, remodeling, electrical, plumbing and heating and air. Heating and air is where I spent a majority of these years doing. I've been through Total Tech HVAC school in Nashville. I enjoy bringing a home back to its original glory and beauty, making it comfortable to live in again." 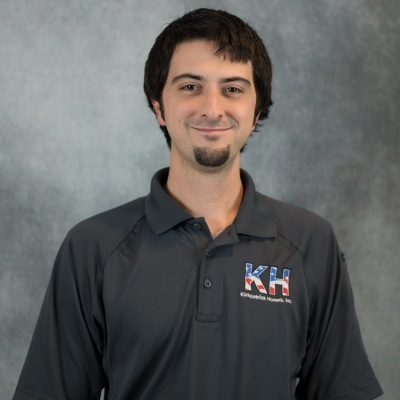 Jon is the head of our Install department but also does plumbing, drywall, framing and electrical when needed. He is our resident jack-of-all trades. Jon is also our resident specialist for mini-split or ductless systems. John manages our team of electricians, teaching and mentoring them as he goes. He has over 25+ years of experience with electrical services and installations. 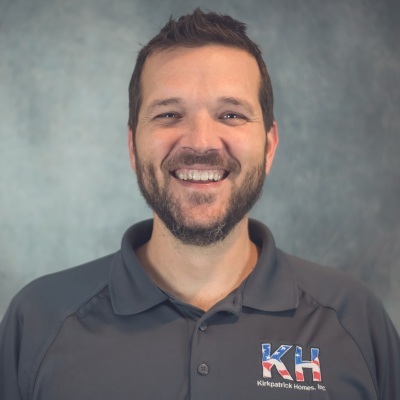 He was instrumental to the creation of Kirkpatrick Homes, Inc. with our owner, Josh Kirkpatrick. He has a passion for doing electrical work and a can-do attitude at all times. He definitely enjoys a challenge and doesn't shy away from large jobs. "I've worked in skilled trades since 2012. I started out working with my dad and brother, roofing and doing minor repair work on houses. After a couple years of working with them, my brother and I decided to go back to school and get our electrical licenses and study the trade. In 2015 we both received our state LLE's and I've been working in electrical ever since." 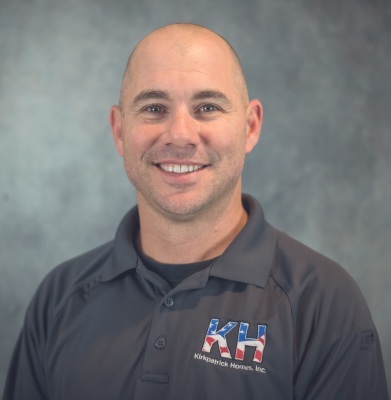 Dale is our current Electrical Service Department Manager, but he is trained in all aspects of electrical installs and maintenance. We are extremely lucky to have him on our team and you will not be disappointed with him - we guarantee it! Beamon is the head of our Electrical Residential Department, installing electrical fixtures and wiring in new homes from the ground up. 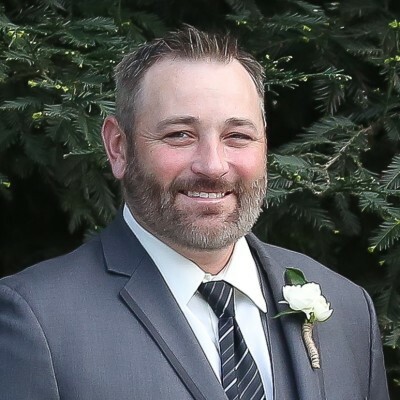 Beamon owned an electrical company in the past so he has an expanse knowledge of the business in addition to his electrical know-how. You can count on Beamon for fast, friendly, and efficient service - everytime. "I have been a plumber for over 30 years. Rough-in work, trim/service work, and irrigation systems on commercial and residential projects. 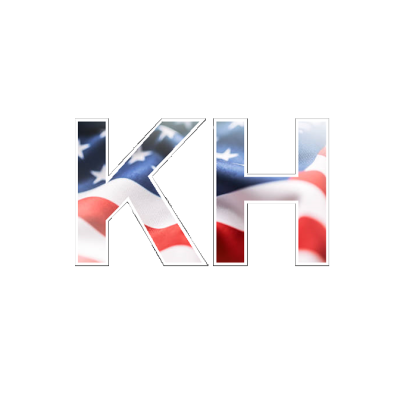 I specialize in remodel and one-of-a-kind plumbing." 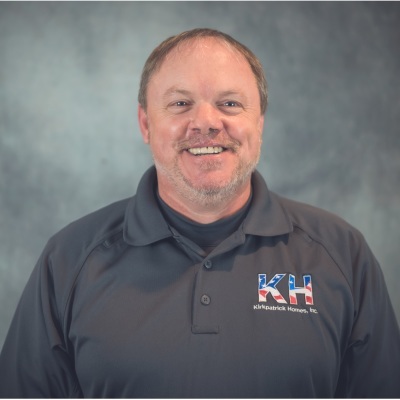 James was one of the first employees hired here at Kirkpatrick Homes, Inc. and we just wouldn't be the same without him. He is the plumbing department manager for our company because of the phenomenal work he does. 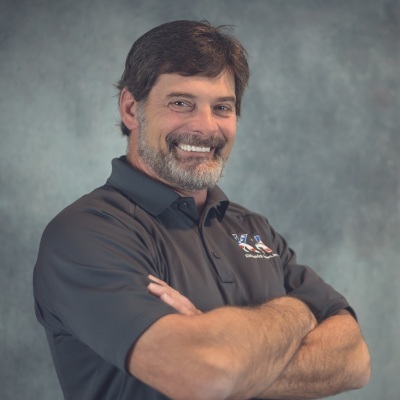 He has over 35 years of plumbing experience with several companies throughout Tennessee. He is an honest, hardworking man, always working to support his family. 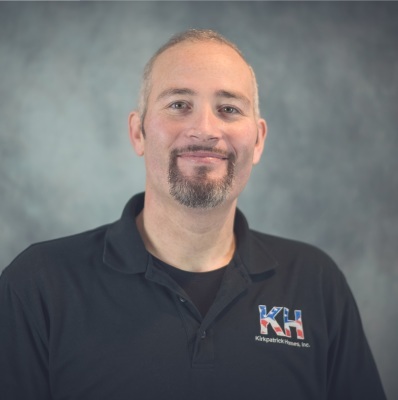 Gary began as an HVAC technician with our company, but soon proved himself useful in a whole array of needs for us. Gary is now our operations manager in charge of our fleet of trucks and our stock inventory. He is also in charge of ordering material for the techncians when they just can't find what they need in the stores. He is a hardworking individual who is always willing to help out someone in need. We are very proud to have him on our team! Carson is another one of our jack-of-all trades, but he has experience with residential and commercial projects. Because of his 45 years of experience in Heating and Cooling, Electrical, and Plumbing, he was made the lead of our Commercial Projects. If you need a Commercial project done, or just a larger residential project, Carson is your man. As part of the Kirkpatrick Family, Danielle has worked with the Kirkpatricks for over 10 years and has experience with residential and commercial customers. During that time she worked with the Kirkpatricks in California helping to run several construction companies along with the rest of the Kirkpatrick Family. In total she has over 15 years of office experience. Megan has 13 years experience in the service industry. 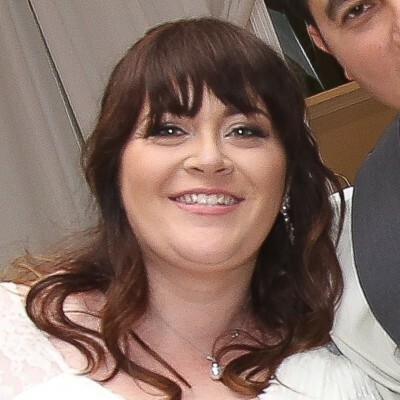 She has worked almost every angle of the service industry including a call center, dispatching, accounting, office manager, sales lead coordinating, and purchasing. She is kind, supportive, and always looking out for our customers. Our customers are always her top priority, encouraging her to provide the best customer service possible.